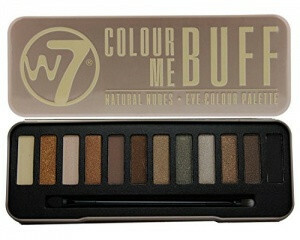 This fantastic W7 Natural Nudes Naked Eye Colour Palette New is perfect for taking you from day to night. This gorgeous eye palette contains 12 eye shadow shades including from left to right: Latte, Angel, Venice, Marilyn, Copper Pot, Sun Kissed, Alice, Bad Manners, Coffee Cup, Mud Slide, Tokyo & Fashionista. 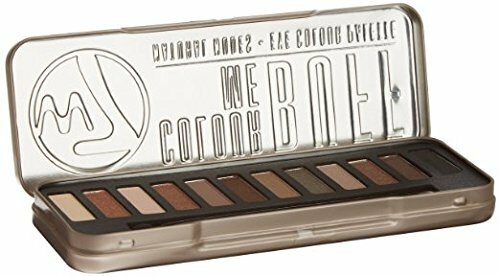 W7 Natural Nudes Naked Eye Colour Palette New A palette of 12 shades in neutral colors. 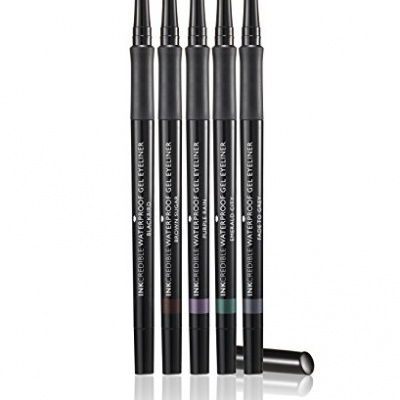 The set includes matte (3), metallic (3) and satin shades with particles (6). The delicate consistency spreads well and rubs on the skin. 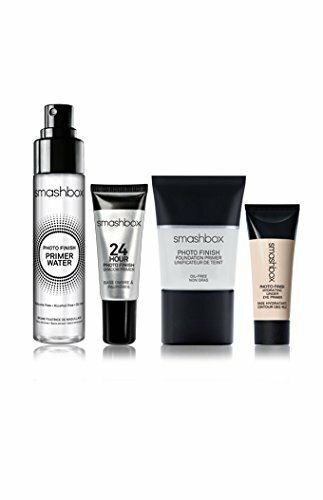 Available colors allow you to make makeup both evening and day. Shadows were placed in a metal case. The inscriptions and the manufacturer’s logo have been embossed on the outside. A double-sided brush was attached to the palette. On the one hand, it is equipped with an applicator on the other with a synthetic brush.